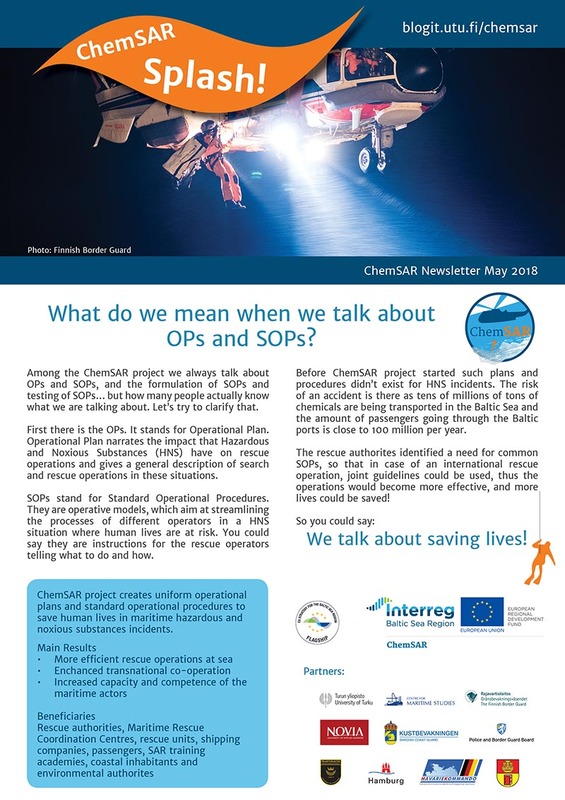 Among the ChemSAR project we always talk about OPs and SOPs, and the formulation of SOPs and testing of SOPs… but how many people actually know what we are talking about. You can find that out by reading our latest Newsletter: Splash vol 2! You can also find out what happened in our midterm meeting and what’s the project status at the moment.